Help Save ‘Timeless’, Watch The Series Finale Live! Is there still a chance to save Timeless, #ClockBlockers? Hey ClockBlockers! It’s Timeless week. Time to get serious about getting the word out about @TimelessSPTV 2 Hour Event on Thursday at 8/7CT! Any hope of the show continuing in some form in the future will hinge in large part on viewership numbers Thursday. Get folks to watch! Timeless has history of cancellations, as NBC initially declined to renew it after the conclusion of the first season. However, this decision was reversed within a span of 3 days and the show was then given the green light for the second season. Dedicated fans had expressed their passion for the show and the network listened. The second cancellation after season 2 was even more difficult for fans to accept, as the final episode “Chinatown” ended with a dire cliffhanger. The Timeless fandom has rallied tirelessly to save the show once more throughout the course of 2018, with huge efforts like flying a helicopter banner over San Diego Comic-Con and advertising on a billboard at Times Square. The announcement of the two-hour series finale episodes was certainly a win for #ClockBlockers, but raised the bittersweet question of, “Is this really it?” Based on what the writers team has said, it sounds like there is still a glimmer of hope out there for Timeless. So, Timeless fans, get ready to do your part in supporting whatever the future of the show may be. Clear your schedules out for Thursday evening and tell your friends that are still working their way through the existing episodes to get caught up in time to watch the finale live. If the excitement of the cast is anything to go by, the two-hour special will certainly be an epic event. 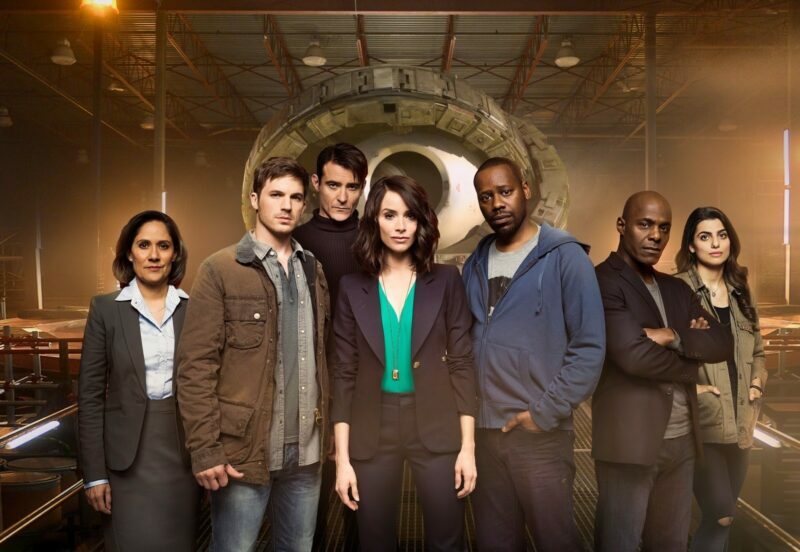 The two-hour series finale episodes of Timeless will air on NBC at 8/7c on Thursday, Dec 20.